100% cotton softly twisted yarn in 50g balls yielding approximately 155 metres of thread, suitable for clothing due to its soft touch and durability to frequent washing. 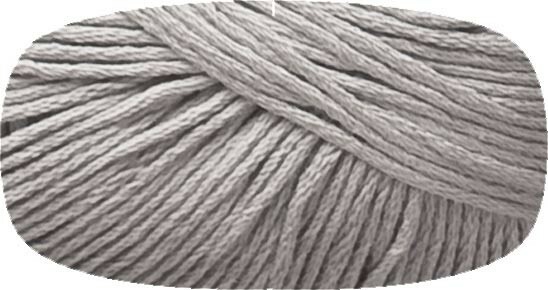 Ideal for both crochet and knitting, Natura is equivalent to 4ply knitting yarn, or size 3 crochet yarn. Knits with size 2.5 - 3.5mm knitting needles, or a size 3 crochet hook. Machine washable at 30 degrees. This 50 gram ball of yarn is silver in colour.